Flowers are undoubtedly one of the greatest creations that nature has to offer. After all, who can resist the vivid colors and sweet fragrances of roses, tulips, violets, orchids etc? With their undoubted appeal across the globe, it is hardly surprising that we have adopted them as things of great significance for every occasion. Be it weddings, anniversaries, birthdays, Christmas, Easter, Valentine’s Day or Mother’s Day/ Father’s day, there is a flower suitable for the event. We also use them as gifts for loved ones to mark important times in their lives, for example; passing an exam or having a baby. The type of flowers that one buys for these occasions varies from person to person; a lot of it is down to personal preference. However, there are certain types of flowers that could be deemed inappropriate. For example, you wouldn’t buy a work colleague a bunch of Roses to celebrate a promotion, unless of course, you’re intentions were amorous. 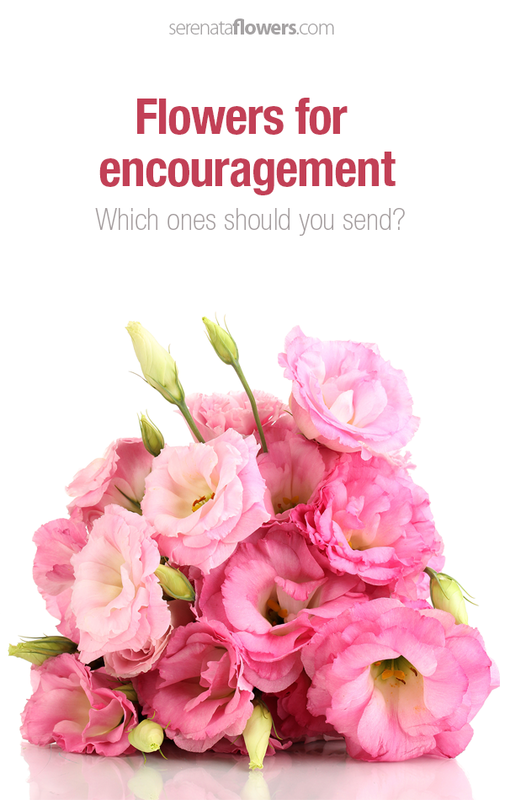 So, what type of flower then would be appropriate to give to someone who you wanted to encourage? Perhaps someone who is currently revising for exams or preparing to take a driving test? There are no rules written in stone here, so you could simply opt for whatever that person’s favorite flower happens to be; a carnation or a Sweet Pea perhaps. If you really wanted to put some thought into it you could consider the specific meaning behind the flower. The Victorians used flowers to communicate coded messages by using their colors and arranging them in several patterns and styles. The meaning of the flower’s color was taken into account to describe all kinds of emotions. It is highly unlikely, of course, that the person receiving the flowers will have the slightest inkling what the meaning behind the flowers is, but they will no doubt appreciate the sentiment. In the end, if you really want to encourage someone, just go for the prettiest and most fragrant bunch you can find.